A cemetery can be the perfect place for a night of excitement and sometimes a GREAT location for paranormal activity. But let me say for the record, not ALL cemeteries are haunted. So do your research before you go and choose a location that you feel needs further investigating. There are a few things you need to know before you investigate a haunted cemetery. First and foremost you HAVE TO RESPECT the location and be aware of where the graves are located. Do not lean on the headstones, and speak softly and courteously if you are attempting an EVP session. Remember, at some point in life these people were living just like you and I and you should speak to them as if they were standing right in front of you. 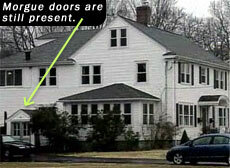 I am NOT a big fan of the "provoking style" investigations that some ghost hunters use. I feel it is disrespectful and my group does not use this type of investigating style. But to each their own, right? Arrive at the cemetery at least an hour or two before dark. This way you can see how the cemetery is laid out and see any dangerous holes, "soft spots" or obstacles that might not be noticed at night. And with any investigation be sure to have the proper equipment for the location. When out in a cemetery, there will probably be no connections for electricity so be sure and bring extra batteries and another "light" source in case your flashlights go out. One of my FAVORITE cemeteries I have ever visited is Dry Creek in Terrell, Tx. I am going to re-post a previous post on this cemetery. But this place is great!!! It has tons of paranormal activity and is pretty secluded so we were able to walk around and investigate without to much outside interference such as people and traffic. If you get the chance to go here...GO!!! Ok. Here is a couple of pics from our investigation. This was late in the night and we where sitting in a group and I just snapped a couple of pics over my shoulders. You'll notice the time stamp on the two pics. The first one was over my right shoulder and the second one was over my left. We where sitting in the middle of the cemetery in a group. What a difference? We feel that the one with all the orbs in it is where the portal is. It was by far the most active part of the cemetery. It is NOT dust, nor had we been walking in that area to stir up dust. These two pics where taken back to back so if it had been pollen or something in the air...it would have been in all the pics. This is the only picture we have like this out of all we took. Not another photo looks like this. So, it's dark but I think you can clearly see we are having interaction with someone...we think it is Billy the Cowboy. Billy the Cowboy was wrongfully accused of a crime and hung from a tree. He is said to be a very active spirit and a grumpy one at that. We found that to be true. We have more video's coming. The candle you see is for keeping the bugs away. We had them all around us. If you are ever able to go be sure to take bug spray or candles like we did. The bugs where bad! Not only where we getting responses with the flashlight but the K-2 meter was awesome to! I'll be posting that later. Don't forget to like the video if you do. Thanks. Hope you enjoy the video and please give me your feedback. Ok. Check this out. It is part 2 of the Dry Creek Cemetery. It was filmed first before the one I posted earlier. You can CLEARLY see in this video that NO ONE in the group was tampering with the video. Where this video ends is where the other one picks up so you will hear the crossover again. You will hear me talk about cigarettes. The K-2 meters where really going crazy when we talked about Billy liking cigarettes (I had read that he likes you to leave him one) so we had walked over and laid one at the base of the tree. That is when we started getting interaction with the flashlight. I will have one more video to post that shows the K-2 meter lighting up in response to my questions. I think you will like it as well, but it is taking me a little while to get them on you tube. 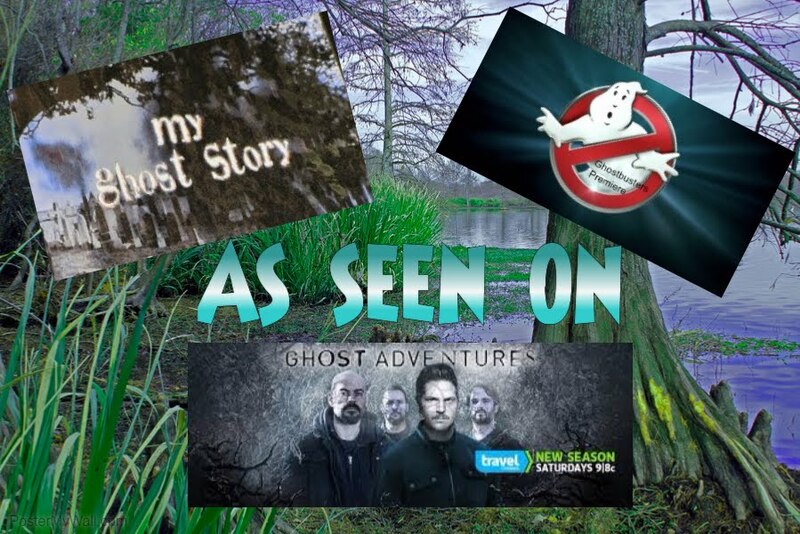 Plus getting ready to go to Decatur, Ill this weekend for the investigation on two haunted theaters! I'm so excited! Thank you Olivia. This is one of my favorite pics of orbs!